Richard Ifor James was known for his incredible agility and secure high range, but also a broad spectrum of tone color. Philip Jones has said, "What fascinated me about Ifor was his ability to play all over the instrument with enormous panache and great momentum." Ifor left a legacy of recordings, many successful students, and a gift for humor and friendship. Ifor was born in 1931 in Carlisle, England. His father was a top amateur cornet player and his mother (Ena Mitchell) was a famous soprano. At the age of four, Ifor began playing cornet in a local championship Brass Band. Only three years later he became a "professional," playing trumpet frequently in the theatre, paid in chocolate bars and pens because of child labor laws. From age 16 to 21, Ifor played football (soccer) for Carlisle United, but at the same time he knew that music was his future. He had always wanted to be an organist, and during this time he became an assistant cathedral organist in Carlisle. When a horn player in the local orchestra became ill, Ifor borrowed the man's horn and played the job. He liked the horn and decided to try it for two years. He studied privately with Aubrey Brain and then won a scholarship to the Royal Academy of Music. He would train for football in the morning, study music afternoons, and play football games on the weekends. He began his horn career with the Halle Orchestra (after being invited to audition for Sir John Barbarolli) and the Royal Liverpool Philharmonic Orchestra. He also played concertos, recitals, chamber music, and broadcasts and founded the Ifor James Horn Quartet. He loved most playing recitals. Later Ifor moved to London where he played with many orchestras and chamber groups. He became professor of horn at the Royal Academy of Music, principal horn of the English Chamber Orchestra, and horn player in the Philip Jones Brass Ensemble (1966-1980). With this group he toured the world and made more than 30 recordings. He also recorded many little gems of the horn literature for his Cornucopia project, which also included a lecture series and publishing music for winds. 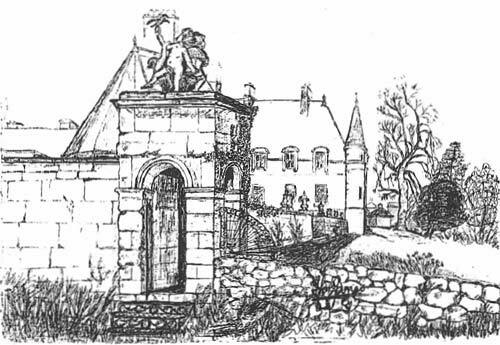 Ifor became professor for horn at the Royal Northern College (Manchester) and the University of Aberdeen. In 1983 he became professor for horn at the Staatliche Hochschule für Musik in Freiburg, Germany, where he taught until retirement in 1996. He was one of the world’s most successful teachers, with over 60 players in the profession, among them several who are now following solo careers and over 20 principal horns. He advocated developing the discipline to practice for hours and to love practicing and never be satisfied. "The world owes you nothing, and this profession is not waiting for you. You have to work hard enough to deserve to be in it." The orchestras with which Ifor James performed are too numerous to name, as are the countries he toured. Many famous composers have written for and dedicated works to him. He was also a composer who has written both for the horn and many other combinations. Ifor said about himself: "I play the horn because I can't sing. If I could sing, I would not play the horn." To relax while on tour, Ifor drew in black and white. He also enjoyed spending time away from professional life at his house in Norway in summer or his flat in Tenerife in winter. Ifor played a Hess, a Paxman, a Raoux piston F horn, and finally a Paxman B-flat/A and a piccolo B-flat for extremely high works. He enjoyed experimenting with equipment. 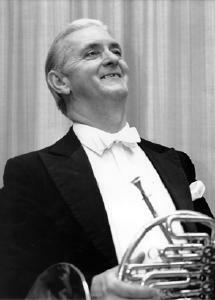 Ifor performed at many horn workshops and was elected an IHS Honorary Member in 2003. He was awarded an Honorary Doctorate by the University of Aberdeen, also in 2003.